A charred fragment of canvas flaps limply from a tree branch out of reach of Bangkok's industrious street cleaners. 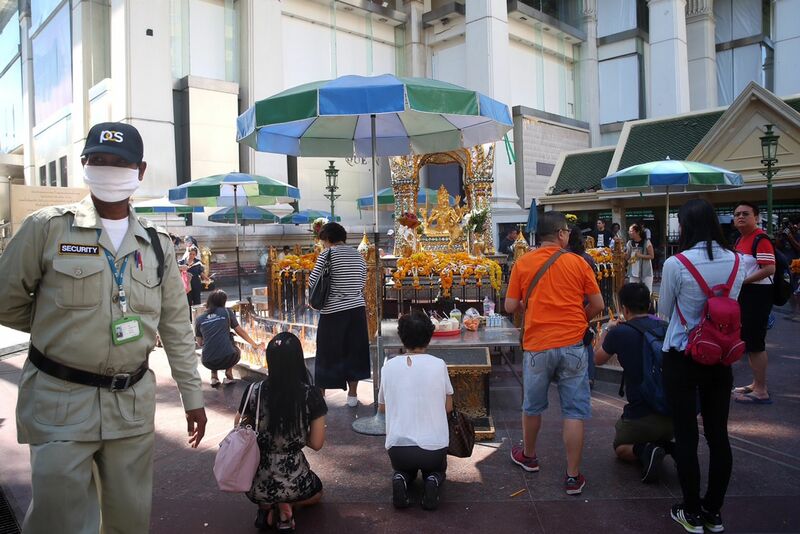 Down below, devotees cradle lit candles at the Erawan Shrine, every gesture followed closely by TV crews. Behind them, someone has carefully arranged bowls of fruit, food and hell notes to ease the journey of their loved one in the afterlife. 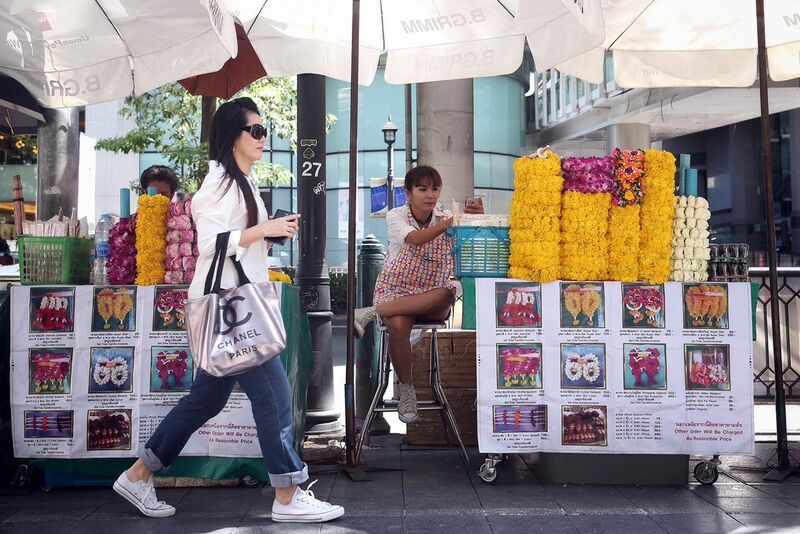 Twenty people died in a bomb blast at this corner of Ratchaprasong intersection. The unprecedented attack four nights ago left bodies - some of them torn apart by the blast - strewn across the surrounding streets. City administrators sent in a cleaning crew the next day to wash the blood off the road. The shrine itself was reopened on Wednesday. On a normal day, the shrine draws a steady stream of offerings from people making wishes before the statue of Brahma, the Hindu god of creation. Passengers on buses join their palms to pay respect as vehicles roar past. So do pedestrians on the skywalk that overlooks the shrine. Yesterday, the city made its slow journey towards recovery as workmen put fresh coats of paint on the pavilion behind the shrine. Construction workers darted in and out of sight before the shattered glass panels of the Erawan Bangkok mall next door, stopping occasionally to look at the destruction. There had been violence at this junction before, when it was occupied by protesters from both sides of Thailand's bitter political divide over the past decade. But it aimed mostly to scare, rather than kill. Most malls in the area have now tightened security. Where staff used to wave through anyone who set off the ubiquitous metal detectors, they now ask to search bags. But at Erawan Bangkok, people entered and exited freely, watched from a distance by one guard in a suit on every floor. 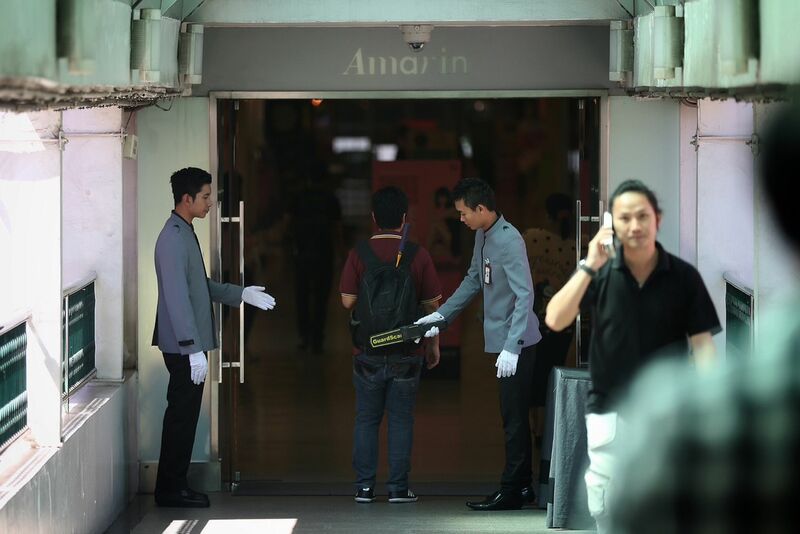 At Amarin Plaza next door, a guard with a handheld metal detector chatted with a friend, turning his back to the lunchtime patrons entering the building. 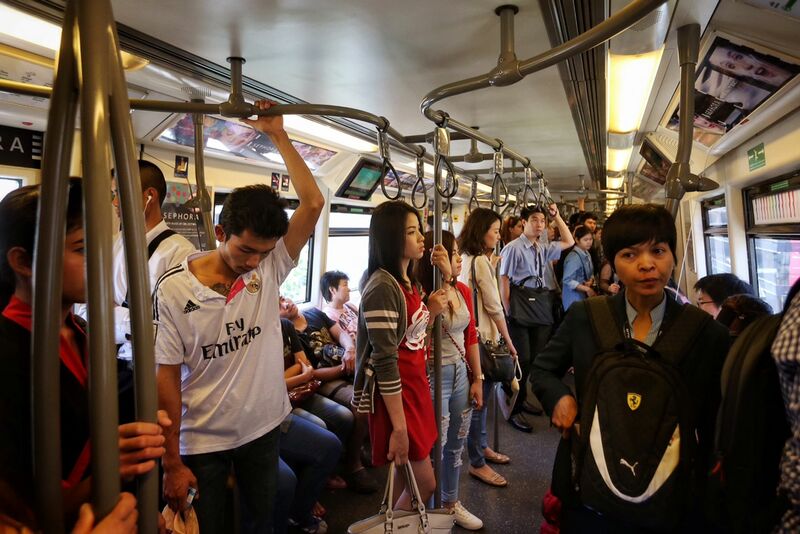 If Monday's blast as well as another bomb on Tuesday that exploded underwater have jangled their nerves, the Thais are trying their best not to show it. "I'm already over it," said Ms Manju Kwatra, 53, who runs a tailoring shop near the intersection. "I know the police and military are working on it. I don't feel scared going out anywhere, but I have told my children not to go where it's crowded." Some guards freely admitted that the checks would be loosened as soon as the situation was not so tense - perhaps letting their guard down for future attacks. This vulnerability is unfortunately a systemic issue, caused by pervasive corruption, bribery, as well as low wages for security personnel, notes security studies academic Antonio Rappa from SIM University. 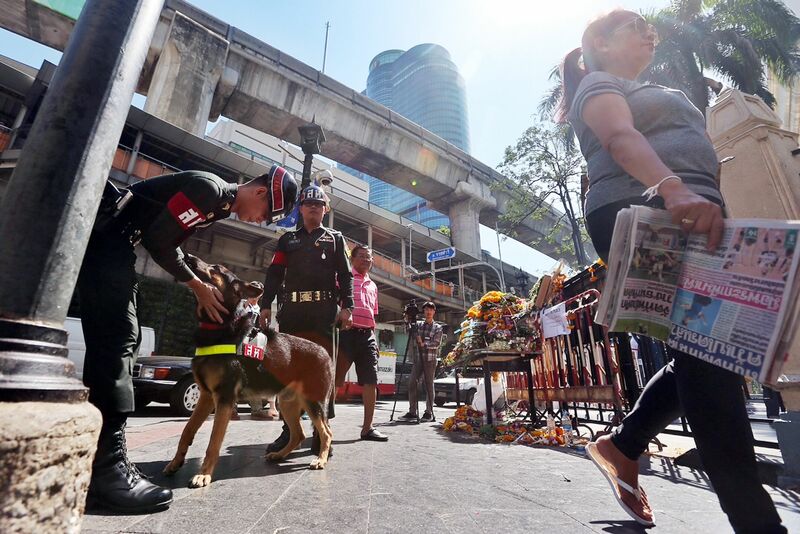 For now, as the Thai authorities hunt down the bombers, the private sector is thinking up its own way of easing the pain of the relatives of those killed or injured in Monday's blast. According to Thai Hotels Association president Surapong Techaruvichit, 18 hotels have teamed up to offer them free accommodation while they care for their kin in the city. They include Asia Hotel, Dusit Thani, Pathumwan Princess. Asked if the blast would have any long-term impact on the hotel trade, he said without hesitation: "Yes there will be. But not much."